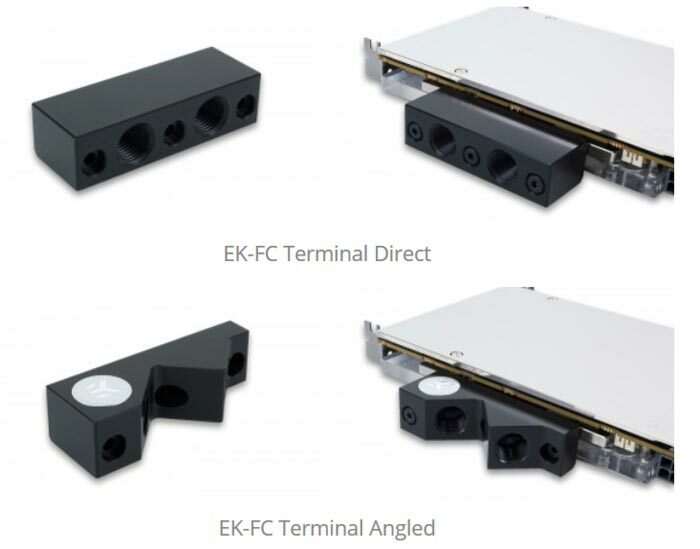 Liquid cooling specialists EK Water Blocks has announced that it is expanding its EK-FC Terminal lineup. There are five new models in all; two of them are designed to be used with single cards, two of them are designed for dual card setups and there's also an elephant in the room - a terminal that bridges seven graphics cards. 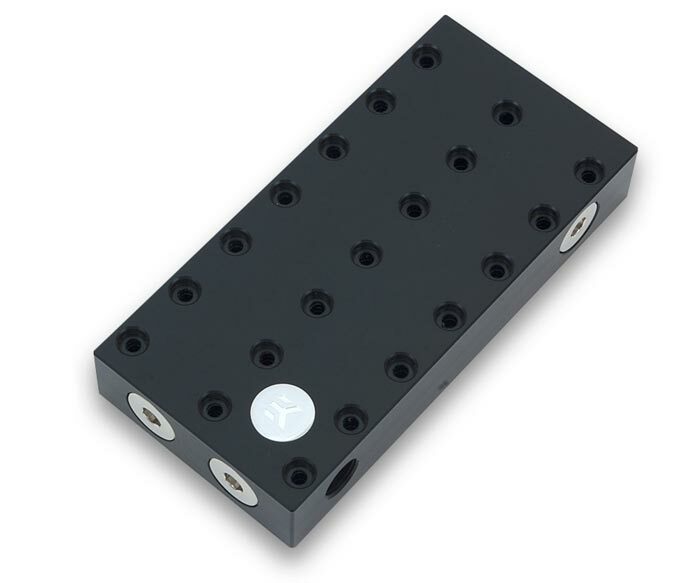 EK Water Blocks' new EK-FC range of terminals is available immediately. EK-FC Terminals are designed to simplify the liquid cooling of SLI & Crossfire configurations. The single and double terminals allow users to modify their tube routing from the GPU water block providing straight (direct) or angled options. The dual-card terminal facilitates attaching your cooling system to two graphics cards, without any space between them, and is available in black or clear plastic versions. Last, and definitely not least, we have the EK-FC Terminal HEPTA Semi Parallel, pictured above. Before its official release this terminal was featured in a Linus Tech Tips video, embedded below. As you will know from the headline, and guess from the HEPTA name, this terminal allows your liquid cooling system to connect seven single slot configured graphics cards. EKWB admits this isn't going to become a mainstream gaming solution but reckons that customers running 'render farms' or that use systems built for GPU compute tasks will be able to liquid cool seven graphics cards on a single motherboard. Please refer to the table below for manufacturer model names and associated prices. 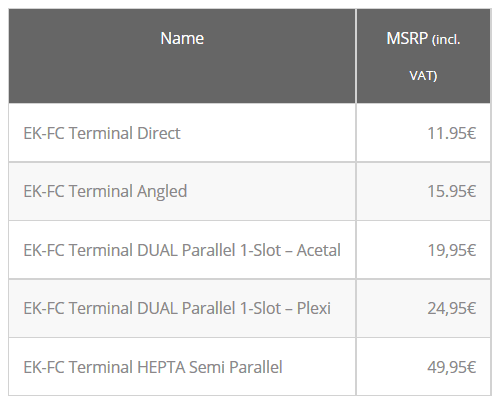 These terminals are available directly from EK and via partners with immediate effect.